I can clean them in a front loading washer! 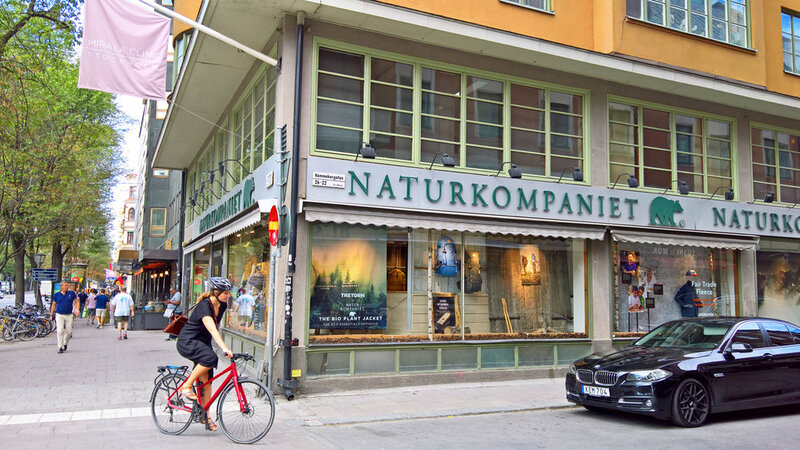 Thankfully, after a lengthy internet search, I found Naturkompaniet—a beautiful store in Stockholm that caters to Sweden's passion for ekologisk responsibility in the outdoors. They're like a cute little REI. Naturkompaniet was also, literally, the only store in Stockholm that had any Chaco sandals (and just a few were left). One size smaller than I normally wear, they have served well. Even if one diligently checks weather reports (up until the day before travel), the weather can change completely. For instance, weather reports said our entire month in Stockholm was to be in the 60s, a few days in the low 70s, with some wind and clouds (partly why I’d not yet purchased/brought a new pair of Chaco’s after my old wore out). Instead, we were gifted hot temps the entire time. The only thing I don’t love about sandals is that my feet are usually coated with dust at the end of each day (we walk nearly everywhere, for hours upon hours). However, once back home, I just slip into my pink house shoes/shower shoes and give the tootsies a quick wash. Presto!